What's Different About the iPhone 4S Antenna? Those two “**” actually mention that HSPA might not be available on your carrier. Really? We’d not noticed. So the iPhone 4S will now ‘intelligently switch’ between its two antennas, helping it to send and receive information in a more reliable fashion. Does that stop the death grip we heard so much about last year? We’ll find that out in a week or so, won’t we? 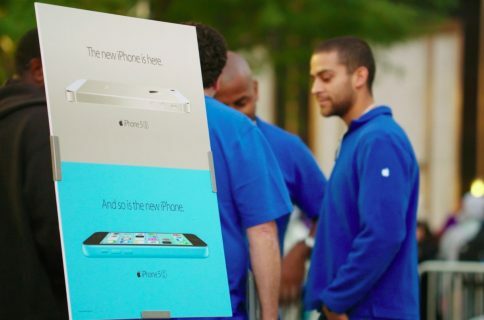 Whether the average iPhone 4S buyer will even know about the change is entirely debatable, but the fact that Apple even mentioned it shows just how aware the company is that the iPhone 4 did indeed have an issue with cell reception. The boys from Cupertino will no-doubt have fingers, toes and anything else they can, all crossed in the hope that we don’t see a repeat of the AntennaGate hysteria of 2010. Another potential boon for the iPhone 4S and its shiny new antenna system is the supposed increase in download speeds. In a world where 4G is very much a buzzword, Apple has managed to avoid falling into the trap of going toe-to-toe with the Android handsets that are currently doing so well amongst the geeks and technorati out there, but at the same time has improved matters for its customers. Faster download speeds – twice as fast, if you believe what you read – are always a good thing. Here’s hoping AT&T’s data network can kick data out quick enough for the iPhone 4S to download it! 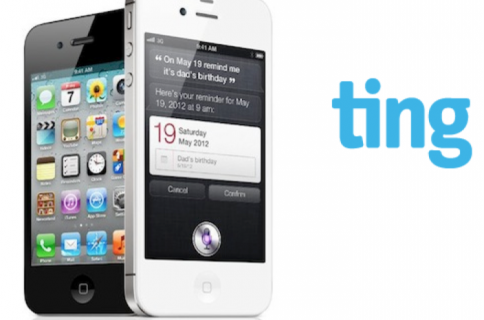 We’ve not even mentioned the fact the iPhone 4S is a world phone yet! Now, CDMA loving Sprint and Verizon customers can happily roam onto GSM carriers’ networks when they go globetrotting. The added bonus? Apple doesn’t have to make two different iPhones anymore! 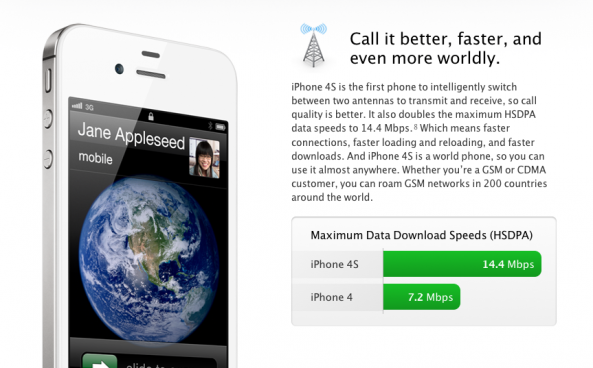 Did you think Apple’s new iPhone 4S antenna was a big deal yesterday, and are you expecting improved download speeds where you live, particularly our international readers?